Box Newels and Handrail can be built in any species of wood with an endless amount of wood finish options. 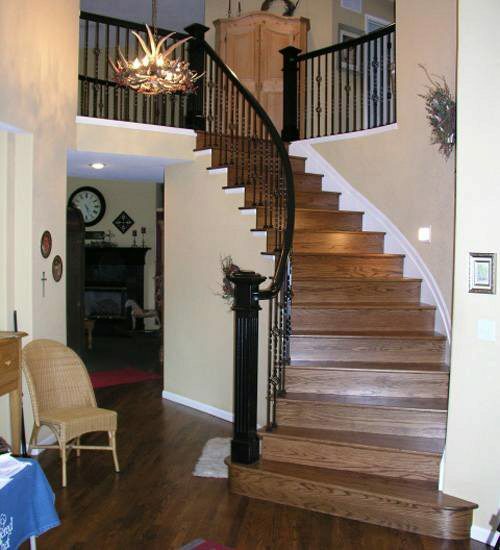 Notice how well the black finish matches the Iron Balusters while the treads and risers are given a clear finish. Each piece of the stairway stands out without distracting from the whole stairway. Click here to view your entire Box Newels offering.